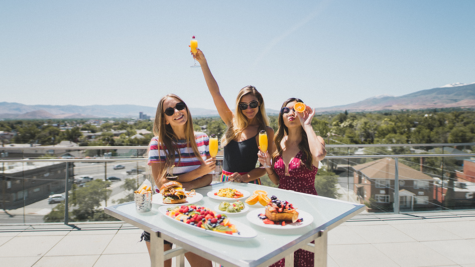 There is no shortage of things to keep you moving in Reno, so it's important to have the proper fuel in your belly. 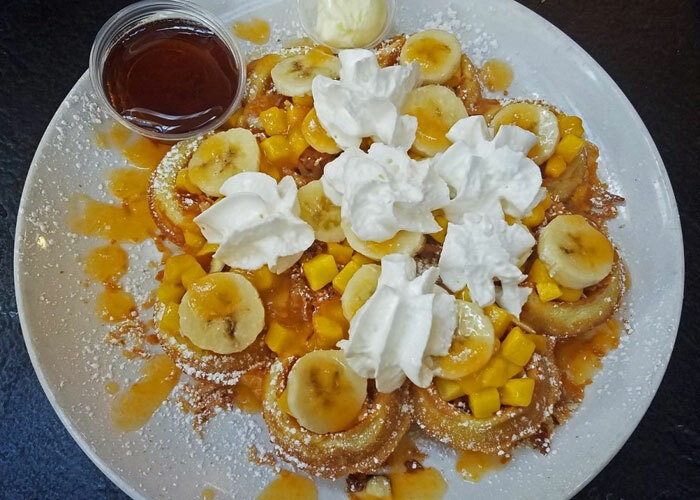 If you're craving something sweet, swing by LiLi's and try their famous Luau Waffles, which are topped with macadamia nuts, sliced bananas, mangoes and a perfectly sweet mango-apricot sauce sprinkled with toasted coconut. If a hearty, savory breakfast is more your speed, Peg's Glorified Ham 'n Eggs serves up a huevos ranchero that will keep you full well into the day. The Biggest Little City is filled with culinary experiences waiting to be discovered. 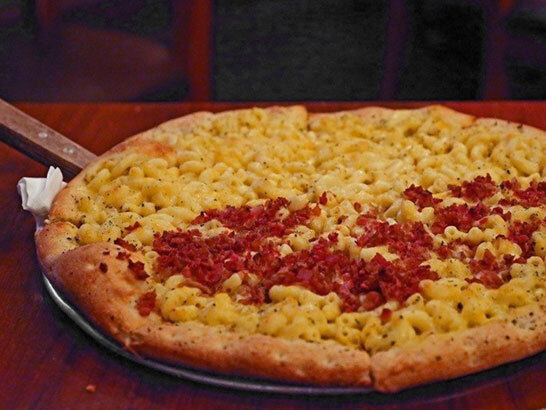 Ever wanted to try bacon mac-n-cheese on a pizza? 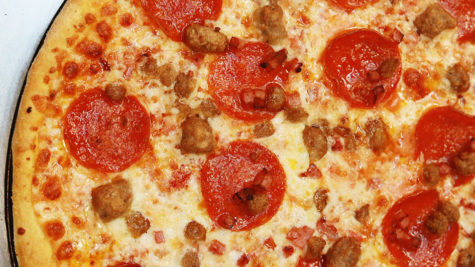 Stop by Great Basin Brewery and Restaurant to try the Mac Attack Pizza and pair it with a cold, locally-brewed beer. Campo is a local favorite that showcases local ingredients from farms and ranches across the region, creating an Italian experience that supports local business. The menu will surely have you drooling over their unique dishes that change daily, giving you a wide variety of choices. For a fancier option, try La Strada at the Eldorado where you can get incredibly delicious Italian food with a romantic, dim light atmosphere perfect for date night. Curb your sweet tooth with these delicious, sugary treats that will have you screaming for more. 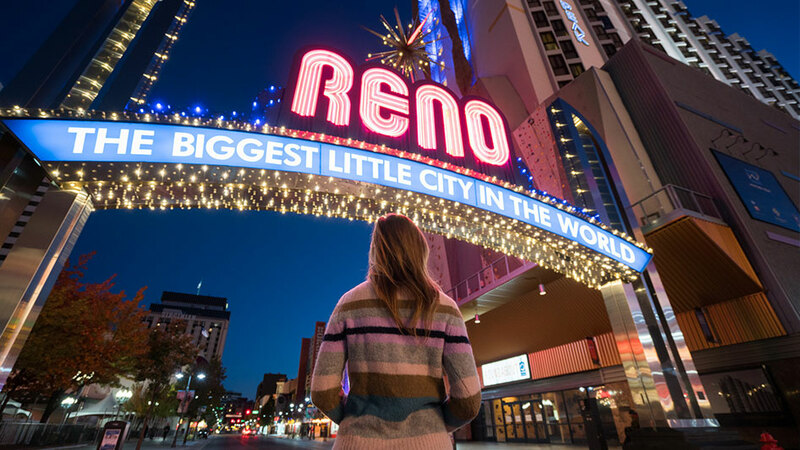 Grab a friend and bring them on down to the land of sweets, Reno has any sweet treat you may be craving. Ever tried a donut ice cream sandwich? Start your dessert journey at Simple in Midtown. 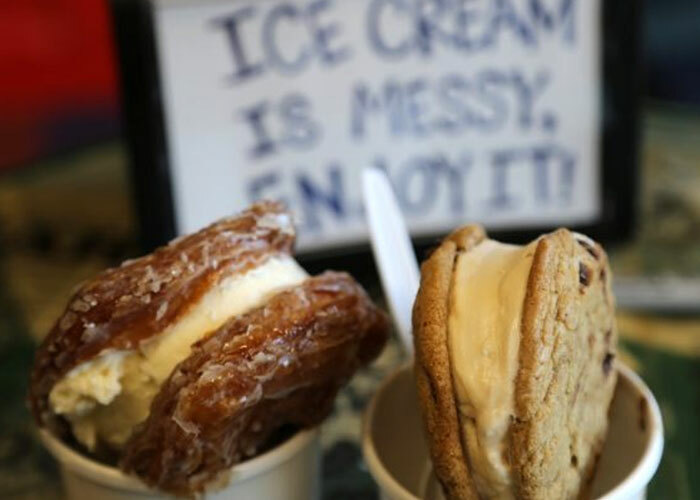 They serve delicious ice cream sandwiches served on fresh baked cookies and donut treats from Doughboys Donuts. Go to Two Chicks to try their Simply Sinful Sandwich which is a Nutella, peanut butter, marshmallow and banana grilled sandwich on white bread. A deliciously surprising treat that will change the dessert game forever. Try a classically mouthwatering cannoli from La Strada at the Eldorado and be amazed with the sweet cream and perfect shell. You will dream of this cannoli and just have to keep coming back for more. Both Tammilee and her husband, John, write for their blog and share their perspectives on Travel, Food, and Life. They inspire more than a half million people who visit their blog monthly to explore new places. Check them out!